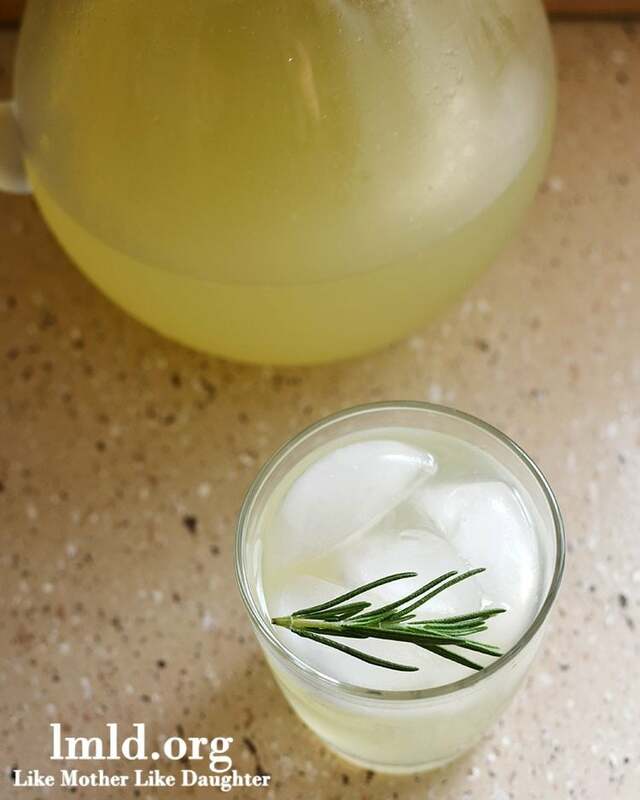 Rosemary lemonade is a refreshing drink with the light and sweet addition of fresh rosemary! I love making fresh lemonade in the warm months of spring and summer. Fresh rosemary lemonade is one of my favorite flavors because of the subtle sweetness and lightness that the fresh rosemary brings to the drink. I first had rosemary lemonade a few years ago at a work event and loved it so much I’ve created my own at home several times since. Its a perfect drink for any occasion, when you’re just craving something cold and sweet, for a baby shower, for a summer barbecue, or a holiday party. Some other refreshing drinks that I think you’ll love. Raspberry Lemonade is my favorite flavor of lemonade, but this delicious maple lemonade is sweetened with only 100% maple syrup. If you love the sweet rosemary flavor you’ll love this rosemary grapefruit mocktail. Or I think you might love this hibiscus and cardamon cooler. To make this drink you’ll make a simple syrup of water and sugar, cook them together until the sugar is dissolved. Then you’ll steep in the fresh rosemary sprigs to give the sugar water that sweet fresh rosemary taste. When its mixed together with the fresh squeeze lemon juice and water it combines to make this most refreshing, sweet, delicious drink. This rosemary lemonade is the perfect drink in a large glass mason jar filled with ice on a warm day. Cheers. Bring to a boil, stirring occasionally, and allow sugar to fully dissolve. Cover pot and allow to cool to room temperature for about 30 minutes. Add fresh lemon juice and cold water to the pitcher and stir together. First published on June 16, 2013. Photos and text updates on April 8, 2018. Thank you so much for including my cooler!! Best part is that I’ve found some great new drinks to try!!! thnx for sharing this amazing recipe idea.. im making it for my husband tomorrow.. he ll surelly love it! thnx again!!! Hope you love it! Its one of our favorites! I have lots of mint in my yard if you want to come dig some up. It grows like a weed! Yes Britney, we might want to! We have loved our chive plant from you. Do you know if its spearmint or peppermint? I love rosemary, totally trying this! Thanks Ashlee! You’ll have to let me know what you think! Thanks Marissa! It’s delicious 😉 and thank you for sharing the pinterest love! I love rosemary lemonade! Thanks for the recipe!! Of course! I’m happy to share 🙂 Let me know how it compares to what you’re used to!